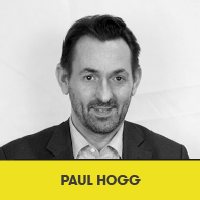 Paul has worked as Trust Secretary for Bradford District Care NHS Foundation Trust since 2009, with responsibility for corporate governance, communications and membership engagement. In 2016 he was appointed as Director of Corporate Affairs with additional responsibilities for patient experience, stakeholder engagement and volunteering across the Trust. Prior to that he held a number of policy roles in various Government Departments in London and Leeds. Some years ago he completed a post graduate Diploma in Management Studies studying at the Headingley Campus and more recently has been part of the NHS Nye Bevan Leadership Programme. He believes that university life can provide opportunities to develop a broader set of skills and experiences and a vibrant Students’ Union is an integral part of this. Married with three teenage children, he is an avid cricket supporter.